Rep. Issa Admitted His IRS Investigation May Be At A "Dead End"
New evidence that IRS bias may have extended to tax audits. The Obama Administration has made a two-year career of dismissing concern about IRS policies targeting conservative tax-exempt groups. That evasion just got harder. New information shows the agency may have shown similar bias in tax audits. A new Government Accountability Office report says protocols in place at the IRS Exempt Organizations unit made it possible for groups to be unfairly targeted for audit “based on the organization’s religious, educational, political, or other views.” That’s our emphasis. The report also shows a process that allowed reviewers to wield significant discretion over whether certain groups were selected for scrutiny. GAO says that once the audit targets were chosen, the process lacked transparency and documentation, including why the groups were selected. Of the audits that came in from outside referrals, the agency had no documentation for around 25% of the original complaints. This raises the possibility that some groups may have been flagged for audits by political opponents who disapproved of their tax-exempt purpose. In some cases, the GAO says the IRS never disclosed why a group was selected for audit. The IRS is dismissing the findings as hypothetical. 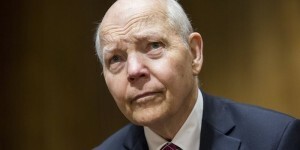 At a House Ways and Means hearing Thursday, IRS Commissioner John Koskinen told Rep. Peter Roskam that “at this point we do not have indications that anyone improperly was selected for an exam.” But information from Treasury Inspector General for Tax Administration J. Russell George suggests IRS audit selection has already led to improperly selected audits. In fiscal years 2013 through 2015, Mr. George initiated 102 internal investigations based on complaints by tax-exempt groups and individuals who say they were unfairly targeted for audit. It’s not public how many of those 102 may have been improperly targeted. But according to the House Ways and Means Committee, 12 presented facts so egregious that the IRS referred them to the Justice Department for criminal prosecution. Not for tax evasion, mind you, but for improper conduct by IRS employees.